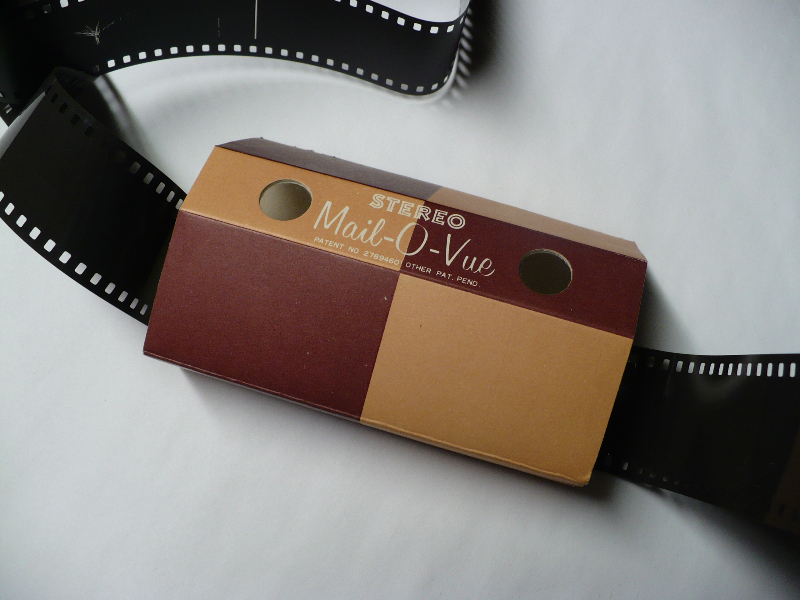 As a child, I had both a Tru-View stereoscope that used 35mm filmstrips and also a View-Master™ stereoscope that used small images on disks. They both presented separate pictures for the left and right eyes that created the feeling of stereoscopic depth. While employed at Bell Telephone Laboratories in New Jersey during the1960s, I programmed the computer there to create stereoscopic pairs of random shapes, a form of virtual sculpture. I used various stereoscopes to view the 3D pairs, such as the cardboard viewer shown in the Figure. I also made computer-animated stereoscopic movies, such as a computer-generated ballet, random kinetic objects, and four-dimensional hyper objects. [Noll, A. Michael, Computer-Generated Three-Dimensional Movies,” Computers and Automation, Vol. 14, No. 11, (November 1965), pp. 20-23.] The 3D movie of the 4D hypercube can be seen at: https://www.youtube.com/watch?v=iXYXuHVTS_k Simple cross-eyed viewing will give the 3D effect without the need for any viewing device, although some practice is required. We who did research on 3D learned how to relax or cross our eyes to see 3D pairs without the use of any viewing device. Decades ago, it was suggested to use half-silvered mirrors so that the computer-generated imagery could be superimposed on reality. When the head moved, the computer-generated images would be suitably changed so that virtual shapes and objects would be seen in real settings. It was even suggested back then to couple this 3D imagery with tactile sensation so that virtual objects could be seen and felt in real settings. [Noll, A. Michael, “Man-Machine Tactile Communication,” SID Journal (The Official Journal of the Society for Information Display), Vol. 1, No. 2, (July/August 1972), pp. 5-11.] Prototypes were invented and built, but applications were not clear – and the technology was massive and complex. Google is promoting its 3D viewer – called Google Cardboard. It has two lenses to view separate stereoscopic images on a smart phone. It is little more than the Tru-View, 3D Mail-O-Vue, and View-Master of the distant past. The term “holographic” is even being used to describe today’s 3D imagery. But the images are not holograms at all – they are just simple 3D stereographic images and technology from decades ago. Some “new” devices present separate images to each eye from two small screens mounted in some form of viewer that is attached to one’s head. But even this is not new, and such technology was used in the 1960s for helicopter pilots to see the ground under them. [Upton, H. W., “Head-mounted displays in helicopter operations,” USAECOM-AAA-ION Technical Symposium on Navigation and Positioning, Fort Monmouth NJ, September 1969.] The use of such head-mounted displays was also used for computer graphic display. What is “new” today is the ultra-miniaturization of the technology, along with motion and position sensors, and vast computing power that was unimaginable decades ago. But what applications of all this 3D technology will excite consumers?